Heavy focus on correcting issues related to the Undo command. Numerous stability enhancements in a number of areas such as: Multiple Views, Class Overrides, Attribute Mapping, and Project Sharing. 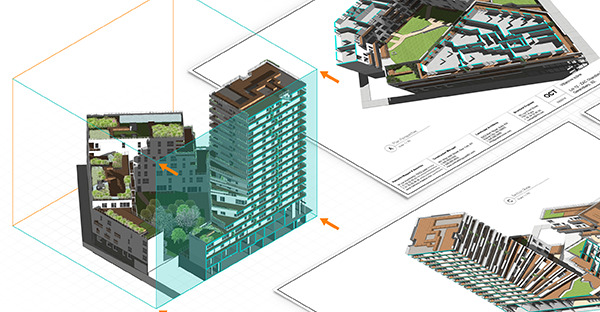 Extensive improvements to the Vectorworks Graphics Module display of Annotations, Fills, Textures, and more. Large number of improvements to the behavior of the Data Tag object. Improved the performance and quality of Generating 2D Graphics from 3D Components. This Service Pack is available for all licenses as a downloadable updater. To install the Service Pack, please select "Check for Updates" from the Vectorworks menu (Mac) or Help menu (Windows). Searching through long lists to find the layer and class you’re looking for is a huge pain. 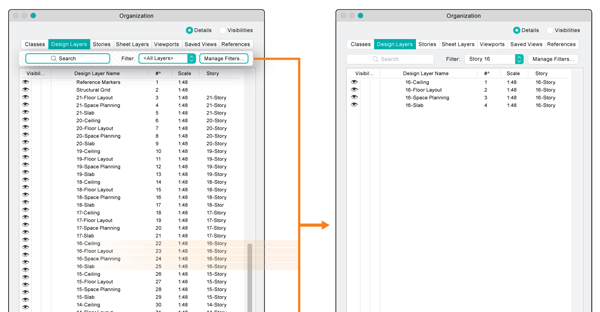 In 2019, you can instantly find what you’re looking for by typing in a keyword search or using filters to display classes and layers based upon specific properties. Being able to work with filtered lists, and instantly search to find classes or layers, will significantly improve your productivity.